On Monday, Dec. 4, the Chilean Supreme Court welcomed the decision of state-owned Banco del Estado to close the accounts of local cryptocurrency exchange Orionx. The new phase in the legal battle between the banks and several crypto exchanges — including Buda.com and CryptoMarket (CryptoMKT), which had appealed against the denial of services — may look somewhat sinister from the outside. But the main players of the Chilean crypto market assured Cointelegraph that the recent decision could not prevent them from operating in the country. In March, two crypto exchanges — Buda and CryptoMKT — came out with a joint statement, claiming that some banks in Chile had closed their accounts. “We are killing the whole industry long before exploring it and understanding its approach,” the release read. CryptoMKT also claimed that another bank received instructions not to deal with anyone who is related to cryptocurrencies. Both crypto businesses then urged the Chilean Association of Banks (ABIF), which coordinates all the private and foreign financial institutions in the country, to intervene — or at least clear up its stance on cryptocurrencies. A response was given within a few days of the statement: The president of ABIF, Segismundo Schulin-Zeuthen, toldChilean business outlet Diario Financiero that the banks were free to moderate relations with their clients. Schulin-Zeuthen also criticized Buda and CryptoMKT for “[generating] false judgments about the institutional role of the ABIF,” while the association’s role consisted of discussing and analyzing existing regulation in the finance sector. The bank that closed the crypto exchanges’ accounts was soon revealed to be Itau Corpbanca, the fifth-largest bank in Chile, along with a branch of Latin American banking giant Itau Unibanco and Scotiabank Chile, a branch of a Canadian banking group by the same name. They were soon joined by Banco del Estado — the only public bank in the country managing up to $52 billion in assets, as of 2017. Later in April, Itau Corpbanca opposed the crypto industry’s stance that the move was illegal and insisted that the closure of accounts result in an internal investigation. According to Itau, Buda had failed to comply with their Anti-Money Laundering (AML) policy. Moreover, the bank accused the exchange of failing to verify the users’ data, as Buda’s website only requested basic information during the registration and did not verify the identities of its clients. The whole story, including the media coverage and official responses, fueled a huge backlash on social media. As Cointelegraph reported in April 2018, crypto enthusiasts blamed financial institutions for “a huge negative blow to Chile’s reputation as a rational, innovation-friendly, free market economy,” stating that those actions “stifle innovation.” Twitter users created a hashtag #ChileQuiereCrypto (Chile wants crypto), urging the government to resolve the problem with crypto exchanges. In mid-April, the Chilean crypto exchanges decided to fight for their rights and started a legal battle, applying to Tribunal de Defensa de la Libre Competencia (TDLC) — an independent, anti-monopoly institution established to ensure that free competition rules are not violated. Buda and CryptoMkt, joined by Orionx (whose accounts had also been closed), had filed a petition against several banks, including Itau Corpbanca, Scotiabank and Banco del Estado. Only a few weeks after the first complaint, TDLC ruled against Banco del Estado and Itau Corpbanca, forcing them to re-open Buda’s accounts. Later in June, the same decision was made in favor of Orionx. As the company wrote on its official Facebook page, the anti-monopoly court ordered Banco del Estado and Banco de Chile — another major bank in the country that was mentioned in the initial lawsuit — to reopen Orionx’s accounts within three days. It would be logical to assume that the long-term battle would force Chilean authorities to introduce relevant legislation on cryptocurrencies to prevent such situations in the future. Chile’s central bank reaffirmed that intention in May. Mario Marcel, the president of the institution, proposed incorporating the crypto regulation in order “to allow having a registry of participants in these activities and thus have information to monitor the associated risks.” Marcel also stated that the industry needed more transparency and consumer protection — as cryptocurrencies could possibly be involved in illicit activities, such as money laundering and the financing of terrorists. Six months after the recent claim, there is still no sign of a legal framework for cryptocurrencies in Chile. In October, local deputies instead introduced a resolution on blockchain adoption to the lower house of the country’s parliament. Miguel Angel Calisto and Giorgio Jackson — along with eight other MPs — urged Chile’s President Sebastian Pinera to implement blockchain in all the country’s public areas, along with carrying out studies on the advantages of decentralized security and energy solutions. The Supreme Court further explained that the actions conducted by Banco del Estado were not “unjustified” or “illegal,” as the bank acted correctly and did not violate any rules of the Chilean constitution. 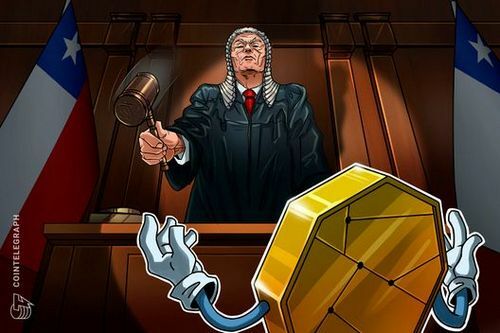 Moreover, the top court stated that the cryptocurrencies “have no physical manifestation and no intrinsic value.” The document also proclaimed that they are controlled neither by a government nor by a corporation, citing the characteristics of crypto as reasons for letting banks refuse services to the exchange. Moreover, Orionx emphasizes that it disagrees with the arguments provided by the Supreme Court and regrets the latest ruling. Feuerhake further added that the Chilean courts are not evaluating the ban on crypto exchanges, but rather seek ways to “condemn banks for abusive behavior” toward them. As the decision of the Supreme Court did not mention Buda and CryptoMKT, it might be a turning point in the plot. The legal framework for crypto, if introduced, could side with crypto exchanges or stand with the banks. TaggedAnalytics NewsBanksBitcoin RegulationChileCryptocurrency ExchangeGovernmentInside Chilean Power Battle: Crypto Exchanges vs. State BanksLatin America.